During Tuesday evening’s Marshall County Schools Board of Education meeting, representatives from the West Virginia Board and Department of Education recognized six schools from the district for showing academic growth and meeting annual targets during the 2017-2018 school year. The state’s new accountability system for schools measures student and school performance based on multiple factors of success such as Math and Language Arts achievement, attendance, post-secondary achievement and graduation rate. Education leaders are identifying and honoring schools based on individual measures which illustrate academic performance, growth and school quality. For exceeding the state’s graduation standards, Cameron High School was named a WV Distinguished School. A graduation rate of 98 percent led CHS to be one of only 34 high schools in the state to earn the accolade. This is the fourth year in a row Cameron High School has been applauded by the state for a graduation rate of 95 percent or higher. Cameron Elementary School, Central Elementary School and Sherrard Middle School were praised for showing growth in Math. 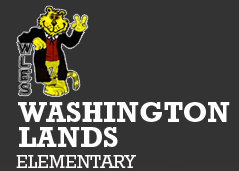 Washington Lands Elementary School was commended for advancement in English/Language Arts. John Marshall High School was recognized for improvements in English/Language Arts and Math. WV BOE members Dr. Jim Wilson and Bob Dunlevy, along with Kathy Hypes from the WV Office of District and School Advancement, presented a plaque to Cameron High School principals and certificates of achievement to the other school representatives. 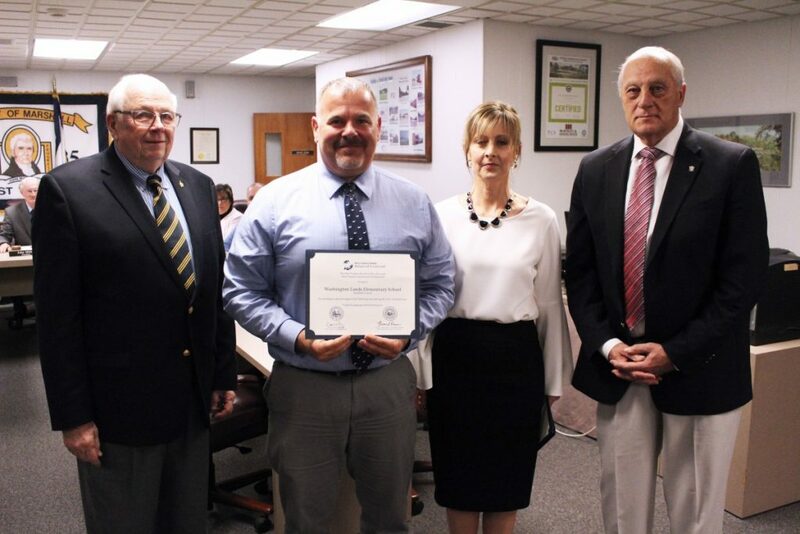 Pictured from left: WV BOE member Dr. Jim Wilson, Washington Lands Elementary Principal Mike Berner, WV Office of District and School Advancement representative Kathy Hypes and WV BOE member Bob Dunlevy.